England’s tourist body VisitEngland have, for the past 27 years, searched the land high and low to find the best in class when it comes to tourist accommodation and attractions. And now, fellow staycationers, the results for 2016 are in! Trevose House is a six-room St Ives B&B, with bright seaside décor, retro furniture and airy rooms – some with sea views. Hosts Angela and Olivier, graduates of the Lausanne Hotel School, are charming and hospitable, offering local information and maps to explore nearby eateries and art galleries. All bedrooms have a well-stocked fridge and a different indulgent bedside chocolate every day. There’s an honesty bar and a sun-trap terrace or the cosy snug in which to relax. Located in the beautiful south Devon landscape, Higher Wiscombe comprises three fully equipped self-catering cottages, with en suite bedrooms throughout. The gardens are secure, and the information provision is excellent – from walks and places to visit, to pubs and cafes that are dog friendly. Everything has been thought of: dog wash, bowls, beds, optional cages, stairgate, ample supplies of towels and mats, treats, Dicky Bag and spare poo bags. Shampoo, spare leads/collars are also available on request. An oasis for dogs, with first class accommodation for humans. The 500-year-old Fleece Inn is a unique piece of English heritage, steeped in history, yet remaining a vibrant part of the community. Just a stone’s throw from the Cotswolds, this busy establishment provides many delights, including good food, local ales, and traditional entertainment. The pub is by no means a luxury establishment, but sitting by the roaring log fire in its quirky little bar sipping home-brewed cider, you are likely to find yourself suddenly surrounded by folk musicians or Morrisn dancers, or regaled by Wassailers. Set amongst breathtaking scenery in the heart of Wensleydale, Yorebridge House is a five-star ‘restaurant with rooms’ in a historic Grade II listed former headmaster’s house and school. 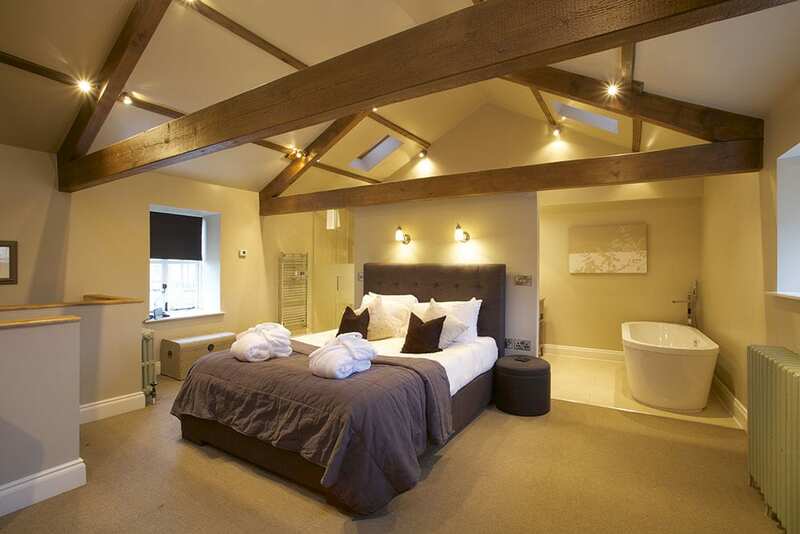 Set in five acres and flanked by two rivers, this winner of the Mills and Boon Most Romantic Venue Award 2015, offers 12 luxurious contemporary bedrooms, wonderful bathrooms and exemplary service in a relaxed atmosphere. With features such as private outdoor hot tubs for selected rooms, outstanding cuisine, sumptuous public rooms and a welcome as warm as the log fire, this is indeed a very special boutique hotel. Rockliffe Hall is an impressive 60-roomed luxury golf and spa hotel. Beautifully presented accommodation is offered with traditional but stylish Old Hall rooms alongside the spacious, contemporary New Hall rooms. With three restaurants to choose from, the Orangery stands out with its golden pillars and outstanding food impeccably served with theatrical flair. The newly created spa offers professional treatments in elegant surroundings, including the indoor/outdoor Spa Garden for total relaxation. 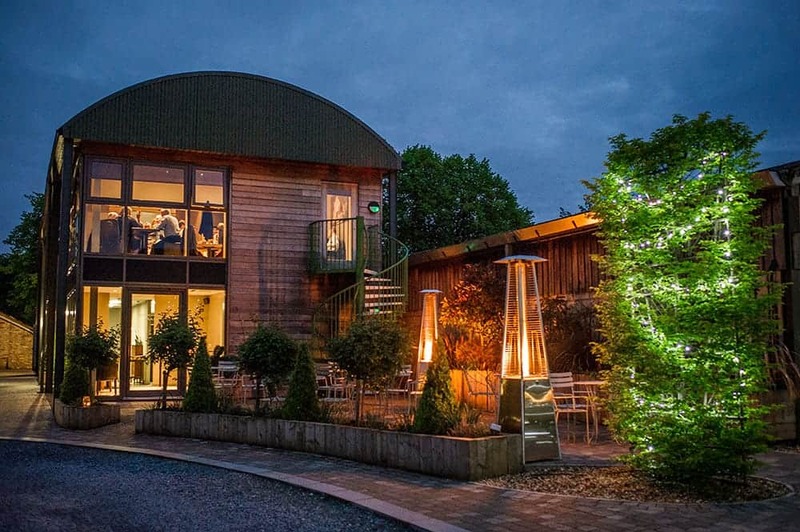 This innovative and educational visitor attraction is set in a beautifully restored historic paper mill, formerly used to produce banknotes and now distilling the famous Bombay Sapphire gin. 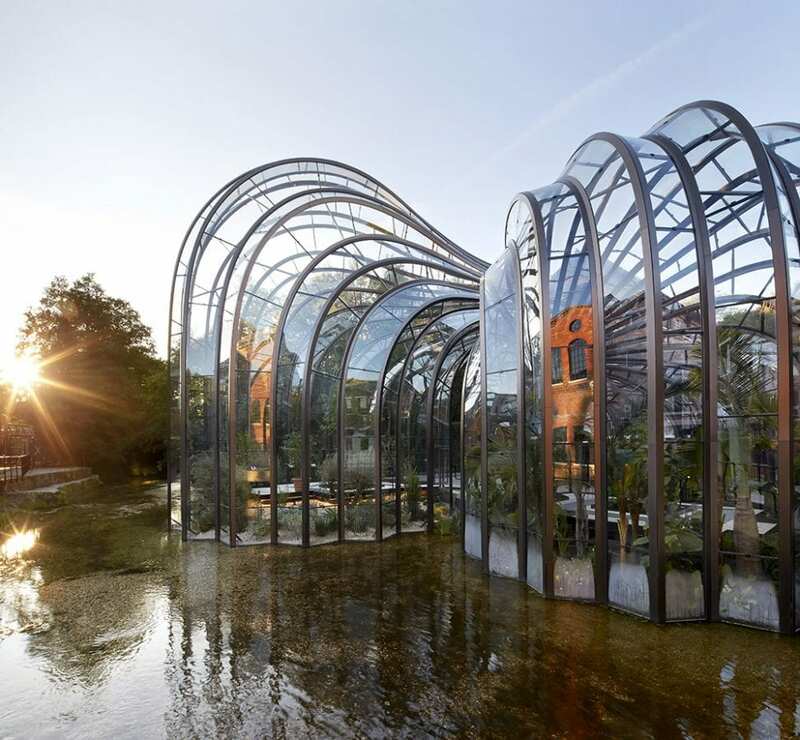 In the state-of-the-art Thomas Heatherwick designed glasshouses, visitors are invited to taste and smell the botanicals used in the gin making process. Guides are very friendly and extremely knowledgeable. At the end of the tour the experienced bar staff suggest visitors try one of the free cocktails, matched to each visitor’s particular taste. It’s a fascinating experience and treat – not just for gin drinkers. A thoughtful touch is that drivers are given a miniature bottle of gin to take home. With over 55,000 artworks and 20,000 textiles, The Whitworth is one of Britain’s greatest collections of modern art and historic fine art. Awarded Art Fund Museum of the Year 2015 after a spectacular £15 million pound extension and refurbishment, this magnificent building houses ever-changing displays, brand new research and education facilities, book shop, gift shop, and a superbly appointed glass-walled restaurant with delightful views over the surrounding park and art garden. Eckington Manor’s chefs Sue and Mark Stinchcombe have the luxury of access to Eckington’s award-winning farm, orchard, vegetable and herb garden to sustain their ‘farm to fork’ policy. The short dinner menu changes regularly and features dishes such as Breast of Guinea fowl, maple roasted pumpkin and spiced red cabbage, but the most popular choice is Eckington Manor ribeye of beef & braised shin, caramelised shallot, wild mushroom & red wine jus. The service is relaxed but professional, and the chefs often come into the restaurant and chat to customers. Woodovis is a tranquil, family owned park in 14 acres of countryside near the historic market town of Tavistock. 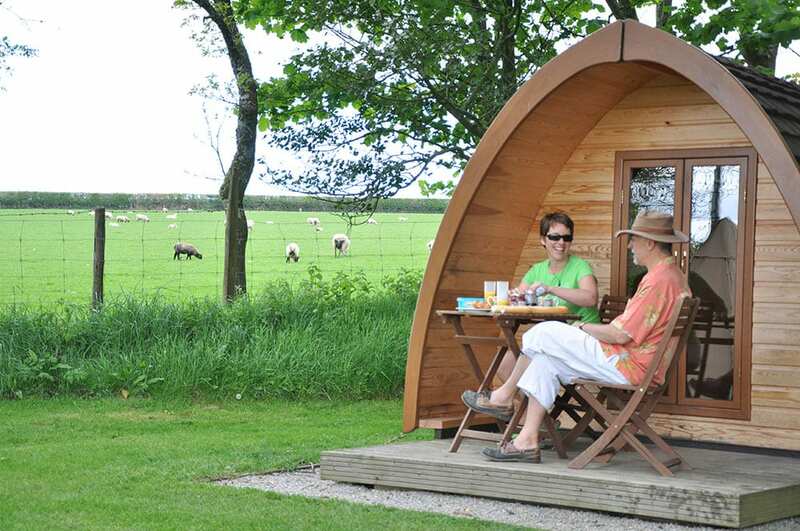 With static holiday homes, glamping pods, camping and caravanning, the park prides itself on high standards and excellent facilities. Activities offered include under-cover boules, circus skills, story-telling and archery, as well as water-walking in the indoor swimming pool. There’s also a children’s play area and dog exercise area. The site’s red phone box houses maps of local walks to be enjoyed on electric hire bikes. 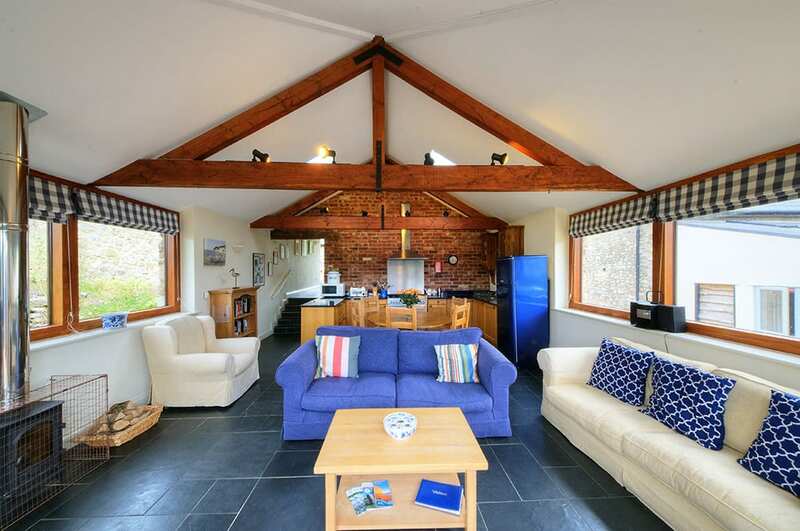 Treworgey Cottages are set on a 150 acre farm overlooking the Looe River valley. The cottages have been restored to a high standard and features include log fires, beautiful bedrooms, excellent bathrooms, well equipped kitchens and pretty private gardens. Holly and her team work tirelessly in pursuit of excellence. Families can join in feeding the chickens, ducks, goats and pigs each morning and the licensed riding school offers pony and horse riding, exclusively for guests. Railholiday is an inspiring example of a business that is deeply rooted in its local area. 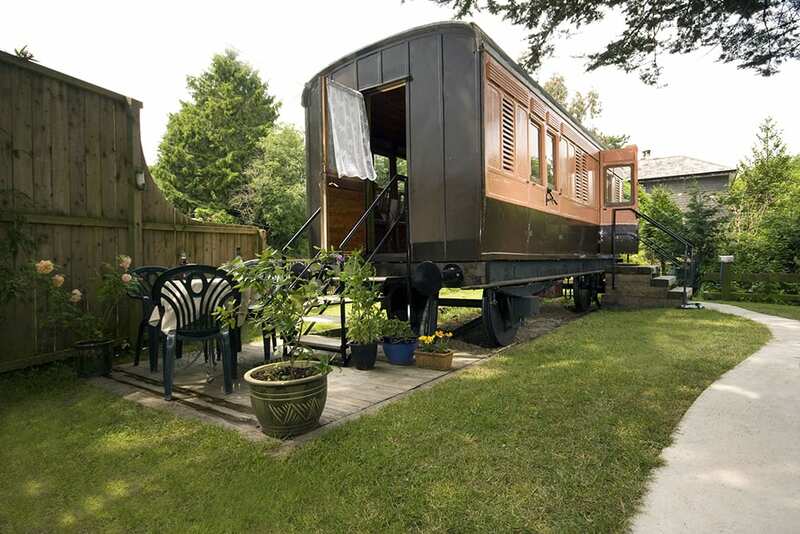 From the painstaking and beautiful renovation of the railway carriages using local skills and materials, through to providing guests with an experience that draws on, and contributes to, the distinctive qualities of the local area, the owners’ enthusiasm and care runs through every strand of the business. Hoe Grange is a traditional family-run farm on the edge of the Peak District National Park, which diversified into self-catering in 2006. Owners David and Felicity Brown identified a gap in the market for high quality accessible accommodation. Four log cabins cater for guests with a range of mobility needs, such as contrasting door frames and a Deafgard alarm, which further increase their appeal. An off-road wheelchair to explore the farm and beyond is also available. 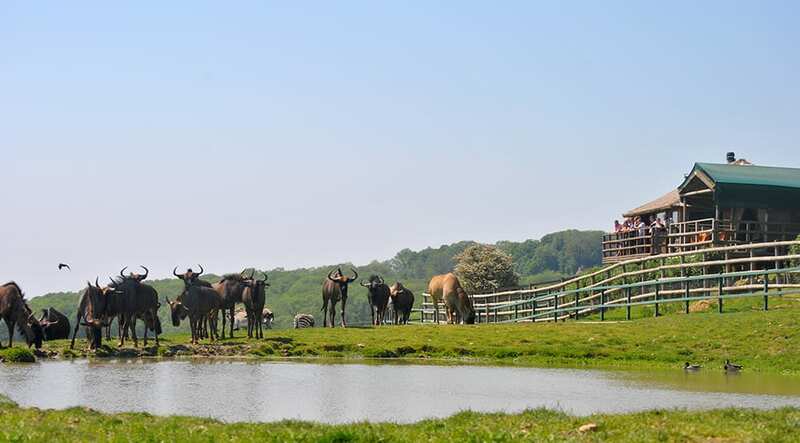 Livingstone Lodge is the UK’s first authentic overnight safari experience, and it consistently wows guests with a magical night under the stars in luxury tented accommodation, overlooking 100 acres of Kentish savannah – alive with African animals. Plus the lodge offers a delicious five course African buffet prepared by the chefs, and guests enjoy a full cooked, hearty breakfast. Thanet Visitor Information Service is located in an icon building ‘The Droit House’ on Margate’s Harbour Arm and adjacent to one of its main attractions, Turner Contemporary art gallery. There are also a number of Information Points located in key places such as train stations and hotel receptions and visitor maps can be found in local cafés and attractions. Taxi drivers, lifeguards and attraction staff have been trained as ambassadors, ensuring all visitors receive a warm welcome. A one-off event held in July 2014, Memories of August 1914 commemorated Liverpool’s remarkable contribution at the start of World War One. The city hosted one of the UK’s landmark commemorative events with an outdoor performance art display, featuring giant marionettes, attracting crowds in excess of 1 million people. During a three-day street theatre extravaganza, 25 miles around the city centre, suburban neighbourhoods and parks were included, with the spectacular included a jaw-dropping visual treat from Royal De Luxe; a company of inventors, stuntmen, scrap merchants and poets. Set in eight acres of parkland in a 400-year-old Jacobean mansion, Crewe Hall offers a beautiful mix of modern conference and meeting rooms in a state-of-the-art purpose built event centre with heritage conference and meeting rooms in the Old Hall. A dedicated team delivers a range of business events with 17 spacious meeting rooms holding up to 364 delegates. Each can take full advantage of the hotel’s spa and health club with indoor pool, treatment rooms, gym and tennis courts providing the complete package. For more information, see VisitEngland.